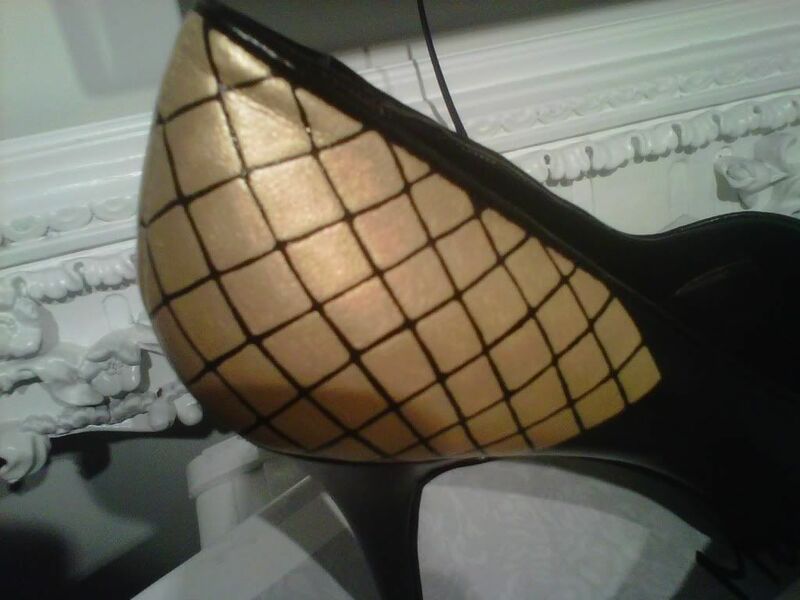 Wednesday night I was invited to the Mallory Musante Shoes Press Preview. If you don't know who Mallory Musante is, you should! So here's the scoop on Ms. Musante, she started her own shoe line back in 2009 "after she was frustrated with not being able to find unique shoes that expressed her personality" (Mallory Musante Shoes fb page). 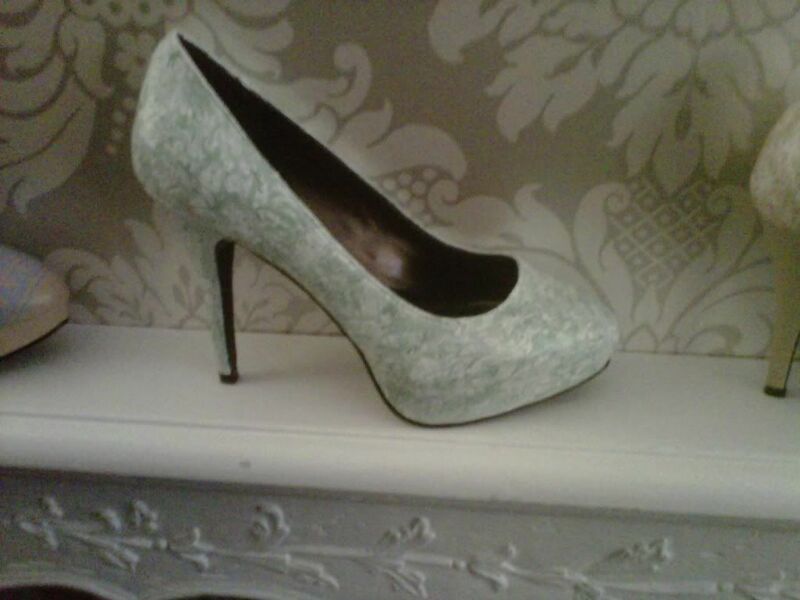 Her line consist of beautifully hand painted pumps. She has two collections one bridal collection and one everyday collection. 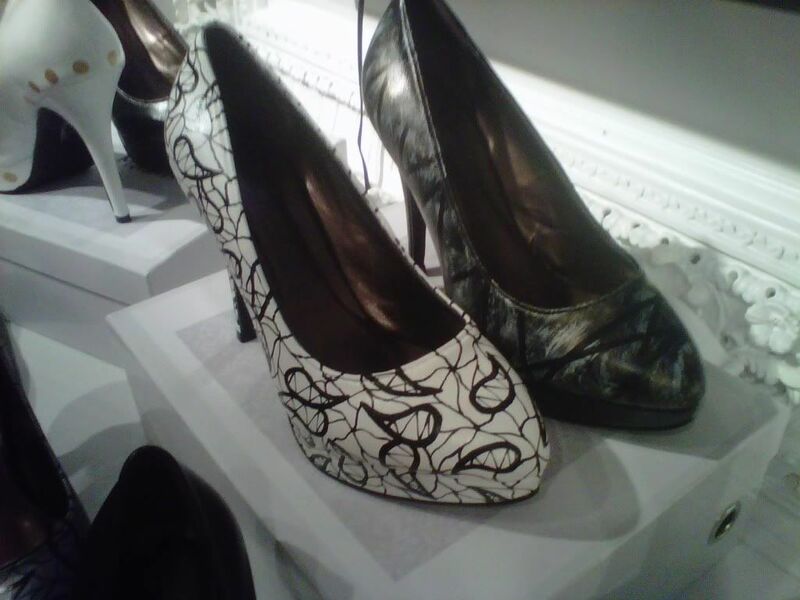 They consist of eye trickery painting like lace patterned painting that makes you think that there's actual lace on the shoe! 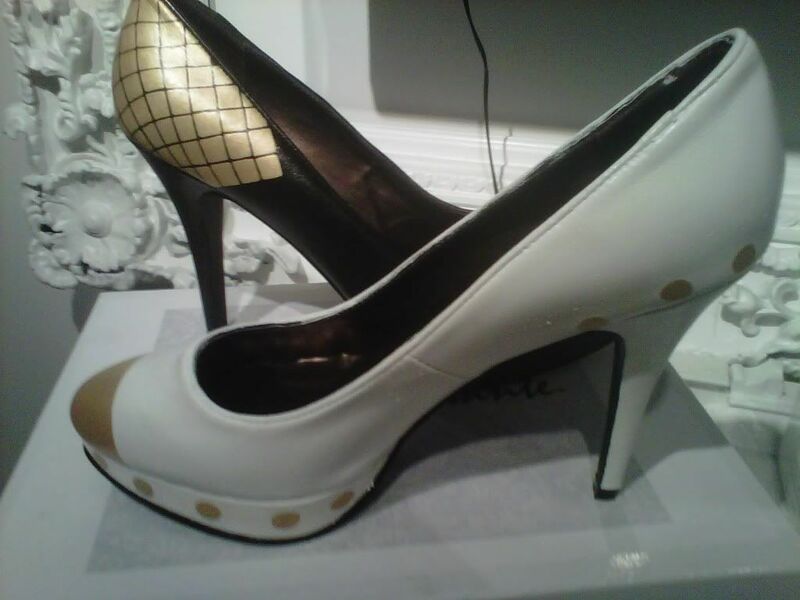 Her shoes also come in platforms (4 inch heels) and kitten heel (2 1/2 inch heel) which gives you a great option to strut your stuff in platforms or in heels that will give you a little lift. Her collection is personalized and really something special. You can tell the creativity behind each pump. She is such a sweetheart and her kindness really peaks through her work. She even shows some sassyness with her shoes like the diamond printed shoes and the fishnet patterned shoe. Musante's collection is so well crafted and she is totally creative. I can't wait to see her really grow! Her shoes will def. be worn and adored by woman everywhere. SO GET THEM NOW! If you like in Rhode Island or Massachusetts you are in luck! 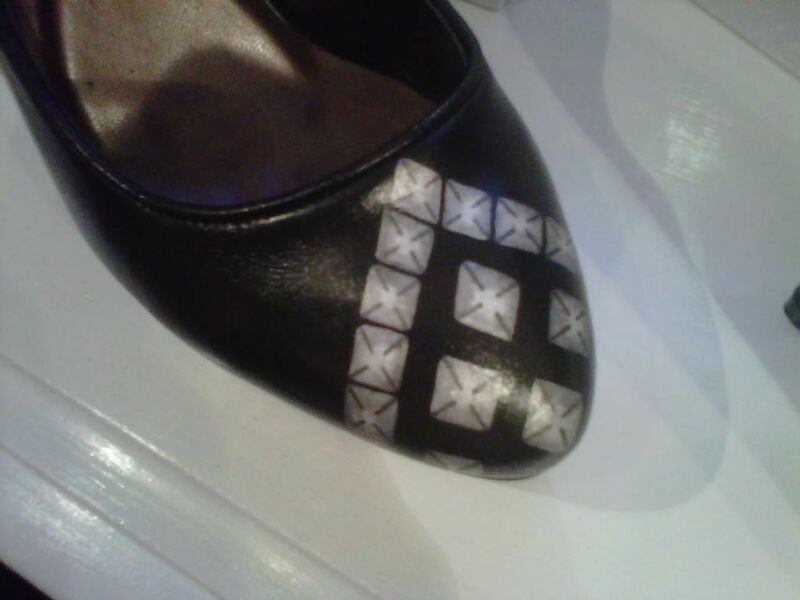 You can find her shoes at Modern Love in Providence, RI and Flower Drum Boutique in Winchester, MA. If you don't live in either of these states have no fear you can buy her shoes on her website MalloryMusanteShoes.com. 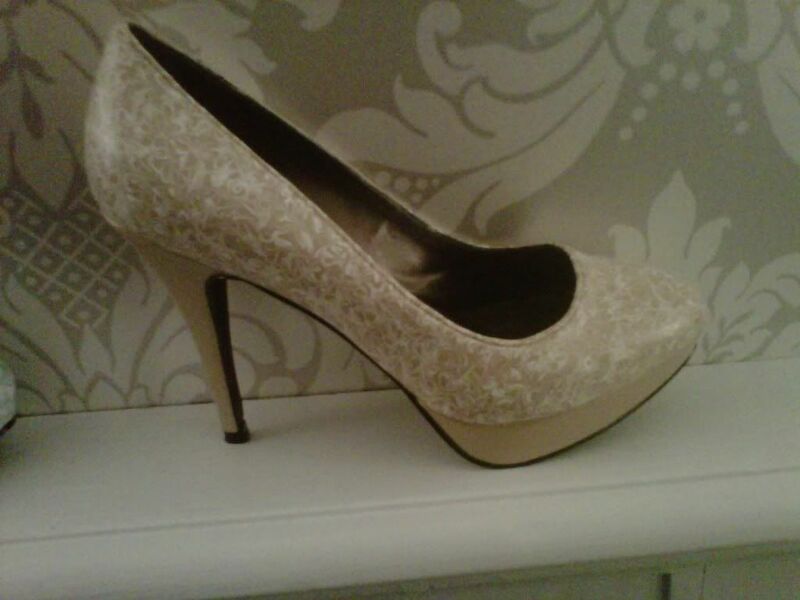 all these shoes are stunning!